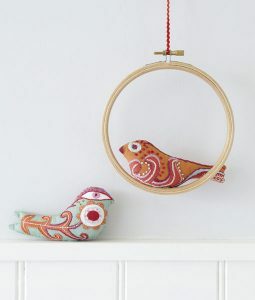 Embroidery is trending at the moment and I have just received a new shipment of Nancy Nicholson Embroidery Kits that are just beautiful. 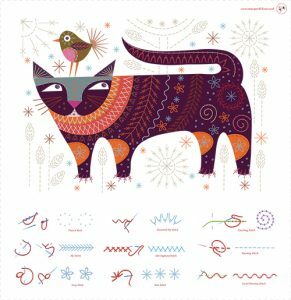 Nancy is based in the UK and designs modern folk art embroidery kits. The kits include a linen/cotton mix fabric panel with a printed design, showing clearly where to sew the decorative stitches. There is also a guide to show the embroidery stitches required, and a colour coded stitch map showing you where to place them. This makes them ideal for both the beginner as well as the more experienced embroider. 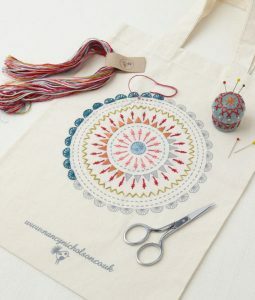 The kit comes complete with embroidery threads in an array of colours to finish the project. You can even embroider the bag the kit comes in!